Work for AWS Single Sign-On? Learning about AWS Single Sign-On? I like how clean, intuitive, and easy-to-use the end-user interface is. It makes navigation very easy for my employees, reducing support calls and boosting efficiency. I also like how its easy to create new users and add them to groups, which makes granting SSO users IAM access easy enough (I do feel that improvements could be made, though). I don't like how it doesn't import existing users from the AWS IAM service. In my opinion the ability to import data like that would really help ease the migration process from our old, mixed SSO-AWS IAM setup to a new, all SSO solution. The administrator interface, while easy enough to use, feels dated and doesn't really match the idea of a "powerful dashboard" that I've come to expect from AWS. Don't set up AWS IAM before SSO, because you cannot import profiles from IAM and you'll just end up wasting setup time by doing so. So far we've been able to use AWS SSO to centralize the many different services that our employees have to log into during day-to-day operations, which has saved us time and money because now everything is one place. "Makes Life So Much Easier"
I always like to say "I live in a password hell." For one reason or another I can never remember my passwords. This helps me to sign in to nearly all of our business applications quickly and easily. We transitioned to AWS SSO about a year ago and it has been easy to add all of our users as well as remove them from programs when necessary. The initial setup can be a little tedious but once the setup is done everything is so easy! If your company uses many different applications this is the easiest way to manage access. The fact that we are able to utilize the AWS SSO with so many applications is fantastic. Instead of manually creating an account for each user on all of our different applications we can use it to allow access to everyone in our organization. It saves time which equates to money. "Single sign on is a time and money saver "
Any time anyone brings you a single sign on solution, you need to look under the hood and check security. the functionality of single sign-on is so simple and basic that everyone can do more or less the same thing. IT's not the ease of passwords its the secure ease of passwords that make any of these solutions work. Amazon delivers on that promise. Does it cover everything, well yes as long as its in the cloud. So its could based and not device based. Get some info and a trial. Ideally get a live expert to go through the program with you to show you how to get the most out of it. Faster logins mean more time doing work. "Good choice for user authentication "
The easy API, the simplicity of use, the fast response are all I like. AWS SSO is the option for you if you need user authentication service. I have not found anything I don't like so far. It is easy to use. Well documented. We need a signin authorization that can simplify the process of user registration and login. "A product with ease of use"
Its the ease of use which is the key feature and the best part is the more comprehensive single sign-on experience. I wish AWS would have entered the marked a long time ago like the industry key players Okta did in 2009. I feel its a missed opportunity. It has a very different experience compared to Okta. try it. In our organization, we are using to manage SSO access and user permissions to all the accounts centrally. The best part is the integration with business applications we currently use, such as Salesforce, Office 365 etc. Permite flexible integración con soporte en diversas plataformas web. Seguro, Accesible. Soporte y Respaldo. 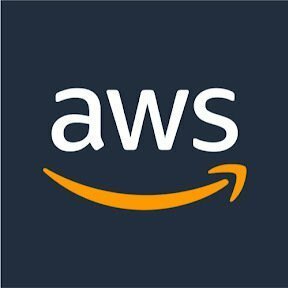 Hasta ahora a integración con AWS SSO no hay objeción. Recomendable para la integración de plataformas que prefieran inicio de sesión seguros, registro de usuarios y respaldo en datos. Permite inicio de sesión con mis integraciones y plataforma. For a regular AWS'er, it's a easy project. It's been reliable, and super convenient. For someone that isn't a regular AWS'er, there is going to be a learning curve to implement. Combining auth sessions. It's convenient to not have multiple places to log in. "It's SSO... through Amazon. " You don't have to remember 103930403 passwords for all the AWS apps you are managing. You will literally save hours not having to reset your password 100 times, and then remember to what email inbox. Amazing. Not much - sometimes it requires loading more than once. SSO is basic among most platforms now - but not everyone does it well. AWS SSO does exactly as needed and you don't have to remember a million different passwords. Its not matured enough for large enterprises. "Easy and effective way for access control to multiple services"
Single Sign On helps the user sign in only once to access multiple services within the organization. It also helps restrict control to users from an administrator's point of view. Cannot import current users. Dashboard needs more features. Dashboard needs to have easier navigation and detailed information. Ability to import current users. Easy system administration, and access control. What i like the most AWS single sign on is the simplicity and ease of use. I have not found something that I dislike about this product as of yet. I am using AWS single sign on for cloud infrastructure management. Simple, elegant and it works. It solves a problem that is common with our end users. There is nothing significant to call out. * We monitor all AWS Single Sign-On reviews to prevent fraudulent reviews and keep review quality high. We do not post reviews by company employees or direct competitors. Validated reviews require the user to submit a screenshot of the product containing their user ID, in order to verify a user is an actual user of the product. Hi there! 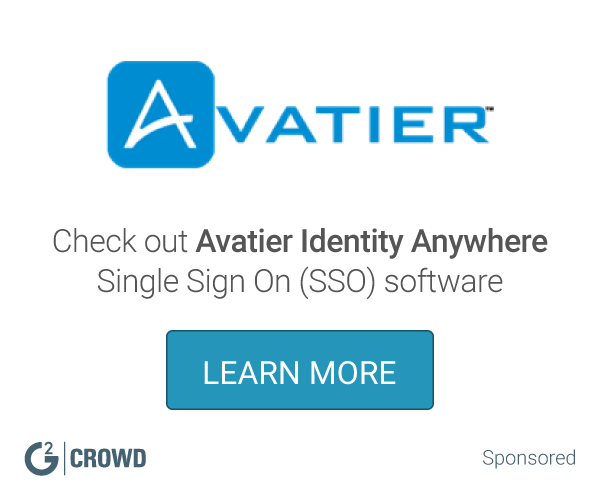 Are you looking to implement a solution like AWS Single Sign-On?